Vanilla has to rank right up there with chocolate as one of the all time best flavors in the world. It also ranks as one of the most expensive. It comes from a particular orchid plant that originated in Mexico. Today, the three most popular types of vanilla are Madagascar, Mexican and Tahitian. The Madagascar, or bourbon, vanilla is the most widely used and is most often the kind in vanilla extract. It is full bodied and robust. Mexican vanilla is more fruity, but is not as widely distributed. Tahitian vanilla is more delicate and works better in cold recipes like ice creams, smoothies and frozen desserts. I generally keep all three kinds of vanilla, but the one I find myself using more than any other is this Mexican vanilla from the Blue Cattle Truck Trading Company. 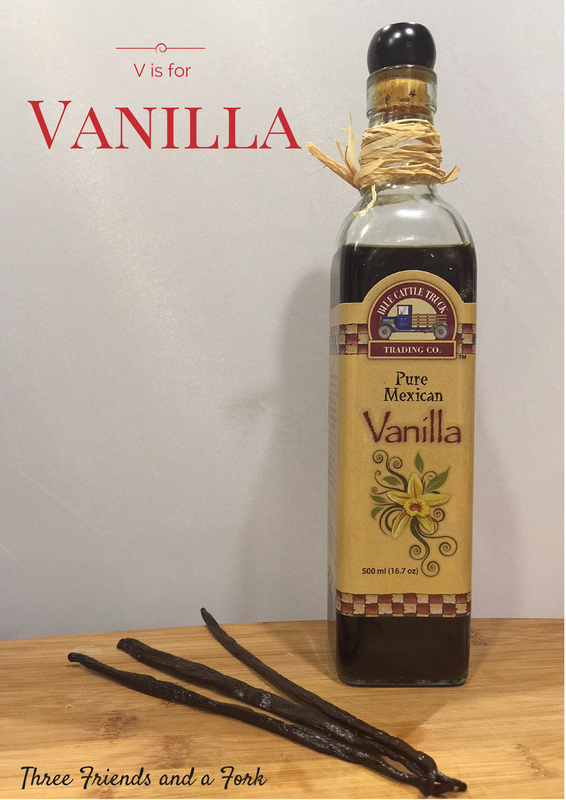 It is expensive, but since vanilla is usually used by the teaspoon, a large bottle lasts a long time. 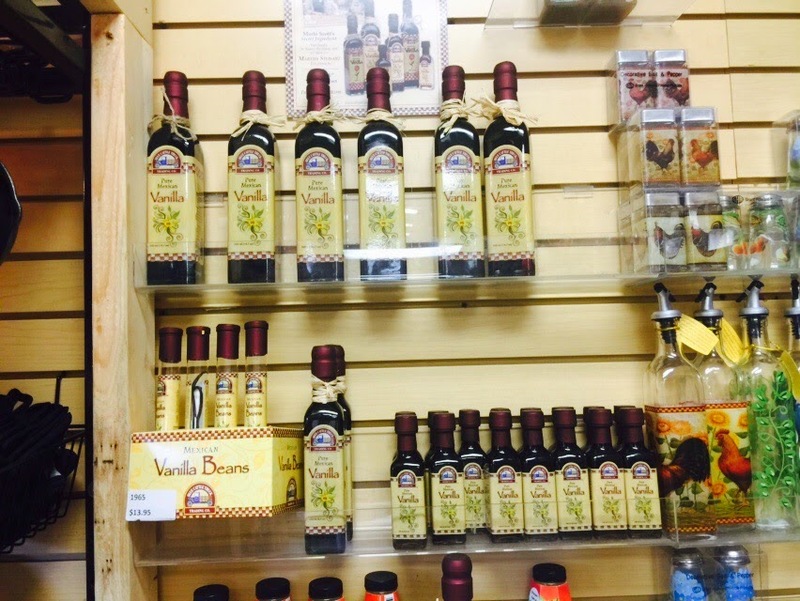 I can find this vanilla at The Lodge Outlet in South Pittsburg, Tennessee. Even more expensive than the extract, are the vanilla beans themselves. I buy my vanilla beans at Costco, where I can get more than three beans in a tube. I love to scrape the inside of the beans and add the vanilla caviar to home made ice cream, cream brulée and even to my sweet potato casserole. In addition to the intense flavor, I love the little flecks of vanilla. Do not be tempted to substitute imitation vanilla flavoring. Real vanilla is a cooking investment, but well worth the cost in terms of flavor. I would definitely have to agree. We bought the imitation vanilla last time on accident and it was not close at all! It was like water with a hint of vanilla. The next time we were at Penzey's spices I bought a huge bottle of the good stuff. I am so glad to have my good vanilla back! I've followed you on your listed social media sites. Great post.